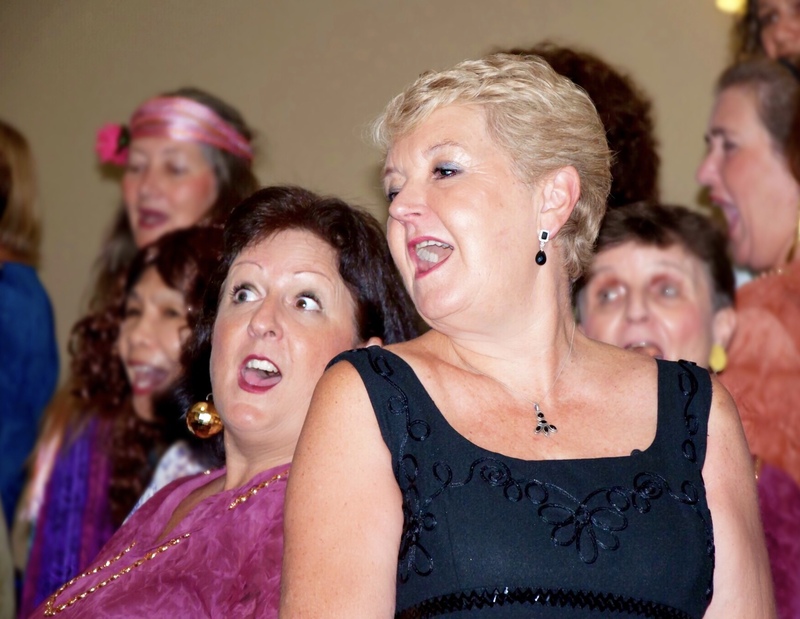 Are you a woman who loves to sing? Are you keen to face the challenge of good a cappella singing? Do you enjoy a few laughs? Do you live in the Wollongong area? Are you free on Wednesday nights? If that sounds like you, you should come and meet Out of the Blue. We are a group of women of all ages who love to get together to sing, to strive for improvement and to share snippets of our lives with each other. Please join us at rehearsal. You will have a chance to sing with us and you will learn what it means to be part of this group. We meet on Wednesday night at 7pm in Figtree Community Hall. Please contact Rhonda on 0415 843 197 or at g.r.odonnell@bigpond.com if you plan to come and we will look out for you. We don’t just sing – we perform. We would love to entertain you and your friends, colleagues and community members at your next event, whether it be a fund raiser, a festival, a concert or a corporate event. We have a wonderful repertoire and loads of experience in thrilling small and large crowds in a variety of indoor and outdoor settings. Contact Louise on 0417253487 or at meyricklouise@gmail.com to make a booking. Our two musical directors would be happy to talk to you! Too late to call? Email not working? Never mind! You can still contact us using the form below, whether you are looking for a choir to join or you would like to book a singing group for your next event. Or perhaps you’ve seen us perform and want to find out more about us or just want to say hello? Drop us a line below and we will get back to you!